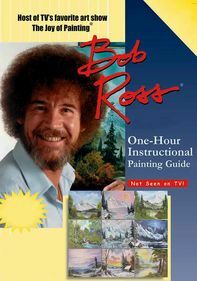 Legendary landscape painter and art guru Bob Ross takes you step-by-step through the surprisingly simple process of creating a vividly detailed and memorable painting that you'd be proud to hang on your own wall. With his low-key style and perpetually upbeat demeanor, Ross's confidence in his abilities is exceeded only by his unshakable belief in your untapped talents. A consummate teacher, he makes the act of creation fun, exciting and fulfilling.